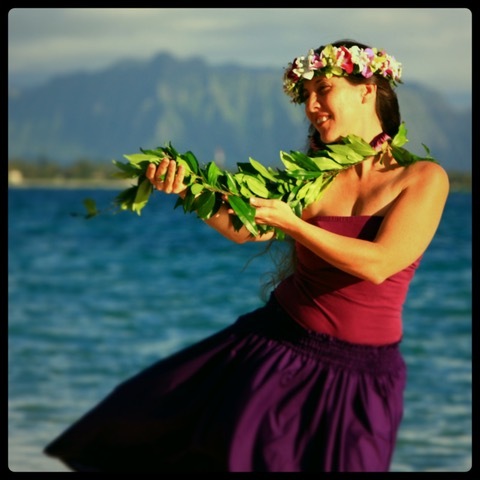 For hula teachers interested in mentoring, this program will develop connections to the roots and foundations of hula. Kumu hula, Malia’s guidance will encourage full immersion in the cultural background, techniques, inspiration and foundations of the much-admired Hawaiian Hula. A true cultural experience of Hawaiian hula. Whether you are a novice or an established dancer, Kumu Malia’s guidance will encourage full immersion in the cultural background, techniques, inspiration and foundations of the much-admired Hawaiian Hula. Create a true connection with the heart of aloha and the land of Hawaii through its unique traditional dance. No prior hula experience necessary. This 16-hour intensive training will focus on the skeletal system and the movement of bones in lomilomi treatments and hula. Covering the basic elements of the practice, the retreat allows full immersion in the history, meaning, technique, inspiration and foundations of the sacred and revered lomilomi massage. Part of an 8 part program developed by Malia Helela, each part is a stand-alone training. Full certification awarded at the completion of all 8 parts. This 16-hour intensive training will focus on prayer and developing a voice that is heard as well as an intuitive, inner voice. Covering the basic elements of the practice, the retreat allows full immersion in the history, meaning, technique, inspiration and foundations of the sacred and revered lomilomi massage. Why not combine your complete Hatha Yoga Teacher Training with a tropical getaway this October? 200 Hour Intensive Hatha Yoga Teacher Training RYT with Claudia Castor, in beautiful Hawaii. This training offers a complete curriculum to immerse yourself in the vastness of Yoga in a light and digestible format. Our dear, amazing Nia Trainer, Winalee Zeeb, offers you this 45 hour training over 5 days to transform your Nia White Belt principles into real, on-the-dancefloor teaching skills with clarity. It is open to Nia Belts of all levels. New teachers develop confidence, craft and skill by learning and practicing the foundations of teaching. Seasoned teachers refine and deepen their understanding, building on their craft and receiving feedback from peers to deliver the most powerful experience possible. Accommodations/Meals package available at additional cost. 50hr specialized Teacher Training of AIReal Yoga, the first aerial yoga program to receive the honor of being recognized by the Yoga Alliance as approved Continuing Education. Immerse yourself in Yoga and Ayurveda and become a Yoga Alliance certified yoga teacher in this 4-week immersion training on beautiful Oahu Island in Hawaii! Alexandra Apjarova, to Still & Moving Center this fall. Alex will lead a 40 hour teacher training for experienced aerialists.